Benedict Cumberbatch is an English film, television, theatre and voice actor. Cumberbatch’s first West End theatre appearance was for Sir Richard Eyre’s revival of Hedda Gabler in 2005. Since then, he had leading roles in Royal National Theatre productions After the Dance (2010) and Danny Boyle’s Frankenstein (2011). His first starring role on television was as the title character in Hawking in 2004. He has portrayed Sherlock Holmes in the television series Sherlock since 2010. His first major film role was William Pitt the Younger in Amazing Grace in 2006. He has also appeared in the films Atonement (2007) as Paul Marshall, Tinker Tailor Soldier Spy (2011) as Peter Guillam, and Steven Spielberg’s War Horse (2011) as Major Jamie Stewart. Since 2012, he has portrayed the characters of Smaug and the Necromancer through voice and motion capture in Peter Jackson’s The Hobbit trilogy. 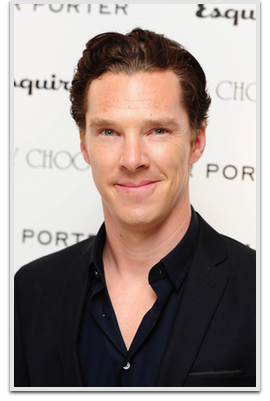 In 2013, he starred in films Star Trek Into Darkness, 12 Years a Slave, The Fifth Estate, and August: Osage County. Cumberbatch recently made headlines when he was confirmed to be cast in the role of Doctor Strange in the Marvel Studios film based on the long running character and will also be seen as Shere Khan in Andy Serkis’ directorial debut, Jungle Book: Origins.